So here’s the thing. You have the bomb resume, right? You might have even paid to have it done, which is not a problem at all. Absolutely nothing wrong with having a professional write your resume if you are completely clueless about the process. 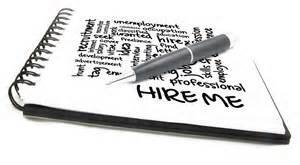 Your resume highlights all of your achievements and puts your career and educational journey on blast. You apply for a job, or two, because you meet ALL of the qualifications, and then some. You consider yourself PERFECT for the job. Yet, you never hear from the prospective employer, and it’s left you highly confused and wondering. I’ll tell you why. It’s your COVER LETTER!!! Let me tell you the problem with the cover letter and applying for numerous jobs with this one cover letter. You put in the position that you’re applying for and you send it off to the first company. But wait….you just saw another position to apply for. So what do you do? You send your cover letter/resume off to the next one. And the next one. And the next. However, what did you fail to do? You failed to update your cover letter to reflect each position you applied for! As an employer who gets tons of resumes, one of the biggest problems I see is candidates not being detail-oriented, as they claim themselves to be, on their cover letter AND resume. Being detail-oriented/paying attention to detail means constantly reviewing your information before you send it out to a prospective employer. Receiving a cover letter from a candidate, applying for a customer service position, yet has property management in their cover letter, is a complete turnoff and an instant and resounding NO. to give the prospective employer a glimpse into who you are. This is your first introduction and you want to make that first introduction count for something, right? If that’s the case, start paying more attention to what you’re sending out if you want that chance to prove that you should be hired! Let’s get it together, People! It’s a cut-throat world out there and YOU have to make sure YOU stand out…but in a positive way! 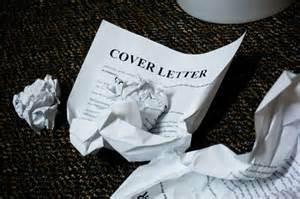 If you don’t know how to write a cover letter and prefer not to pay to have it done, click here to learn how. What are your thoughts? Have you had any notable experiences with your cover letter? Let us know! Great blog, and great, practical points! We tend to get caught up into the speed and ease of doing things through copy and paste type tactics, until it is easy to flow right into using the same cover letter for multiple job opportunities. I absolutely KNOW that if I was in the type of position to consider hiring someone and I saw the type of mistake you mentioned in the blog, I would simply stop reading, and recycle the candidate’s application. Thanks for sharing this valuable information Hospitality Shero. Thanks for your input, Bishop. They really need to understand how this plays a part in their first impression with a potential employer….and it’s not a good impression at all.